John Bunyan's classic story of Christian's journey from the City of Destruction to the Celestial City comes alive in this epic audio dramatization. Accompany the pilgrim on his diverse adventures as he passes though the Slough of Despond, escapes from prison and encounters lions, the Shining Ones, Worldly Wiseman, Mr Legality, Evangelist, Patience, and a multiple cast of other intesting characters along the way. Travel with Christian as he discovers forgiveness, loses his burden, dons the armor of God, and confronts dangers within and without. Written over 300 years ago by a faithful street preacher, confined 12 years in a loathsome British prison for preaching without a license, Bunyan's Pilgrim's Progress has become a spiritual classic. It has been said no book except the Bible has been translated into as many languages. Features 77 actors, sound effects and music. Easy to understand Old English. One MP3 CD - 6 Hours. MP3s is a compact disc that can be played on any computer, most DVD players, and many newer CD players. 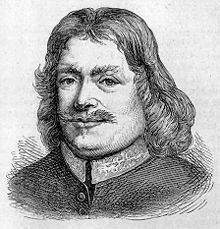 John Bunyan (28 November 1628 – 31 August 1688) was an English Christian writer and preacher, who is well known for his book The Pilgrim's Progress. Though he became a non-conformist and member of an Independent church, and although he has been described both as a Baptist and as a Congregationalist, he himself preferred to be described simply as a Christian.